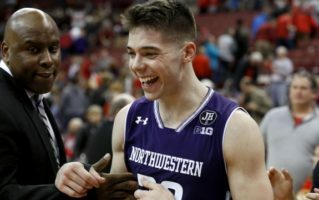 The Northwestern Men’s Basketball Team is turning heads recently after a run of strong performances. The team travelled to Columbus yesterday where they won a hard-fought battle against a strong Ohio State squad for their fourth Big Ten win in a row. But the team’s impressive display has members of the Northwestern community worried about the team’s increasing relevance. There’s been a lot of speculation that 2017 will finally be the year that the Wildcats receive an invitation to the NCAA Tournament, especially given Ken Pomeroy’s favorable rankings over the past couple weeks, and a lot of students have expressed distress at the team’s growing prominence. “Man, I can barely keep track of all the players when watching football games, and now you expect me to learn everything about a team I’ve never cared about?”, said Nate Peters, WCAS ‘19.